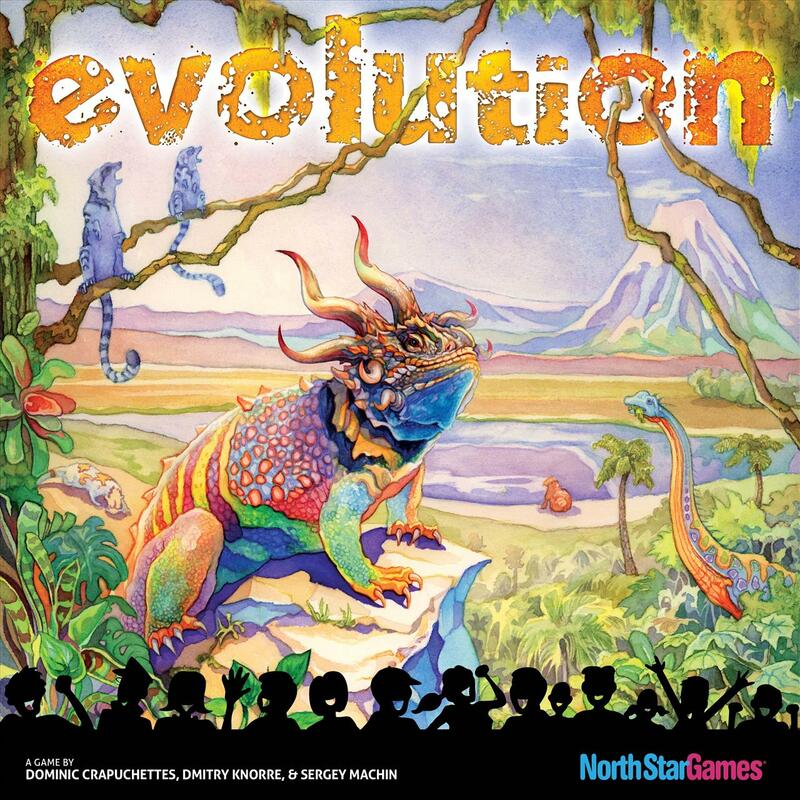 Three years ago, North Star Games created a card-based game called Evolution. The game centers around creating new species of creatures, feeding them, adding to their population, and basically just overall survival. It’s actually pretty simple to understand once you’ve played a few rounds. While at GenCon this year I was able to head over to the North Star Games booth and check out an upcoming digital version of the game that they’re currently working on. Me being a sucker for card games, collectible or not, I went ahead and checked it out. The way Evolution works can seem a bit complex to start, but it’s not too difficult to understand and one can pick up on it rather quickly. Each turn both players will play a card to determine how much plant food will go into the watering hold. Then they’ll use the cards in their hands to create new species, up to four in play at a time per player; increase their population and body size; and give their species various traits, up to three per species, such as sharing their food and turning into a carnivore. Population determines how much food a species can eat, while body size determines how big that particular species is, both of which are increased by discarding cards to that stat. After that’s done it’s feeding time. Each species must eat if they can, i.e., food is left or they’re still hungry. Normally a species will eat from the watering hole unless it’s a carnivore. Carnivores must eat other species as long as it’s still hungry and other species still exist, including that player’s own, if need be, as long as its body size is bigger than the target’s body size. Each time a species eats it gets a marker on that species counter—green for food from the watering hole and red for eating other species. Any species that didn’t eat will go extinct and is removed from the board. After that, all of the markers on a species will go into a food bag that will be scored once the game ends after a certain number of rounds. While there’s quite a bit more that goes into the game and its strategy, that’s the gist of things. North Star Games is about to take Evolution digital with an upcoming Kickstarter, and I had the opportunity to check it out with their Marketing and PR Specialist Melissa who walked me through the game. Going into this I had zero experience with Evolution. The first thing I was curious about was how easy it was to learn how to play. The first option I was presented within the game was whether I had no experience, a little experience, or a lot of experience with Evolution. Since I had Melissa explaining how to play, I chose the “little experience” option, and even then the game did a good job of going through most of the basics of how to play. The interface looked fairly easy to understand and everything was done using the mouse, mainly through clicking and dragging cards to what you want to use them for, whether it's traits, population, or body size. The tutorial walked me through the various steps of the game and explained the different aspects, such as how traits work, dealing with carnivores, and even what happens when a carnivore has no opposing species to eat. This is how I learned that my carnivores could eat my own species. I will admit that there were times where I tried to get ahead of the tutorial a bit and it basically said “No, you need to do this to proceed.” Som even after choosing the option that I had a little experience with the game, the game still walked me through the basics. 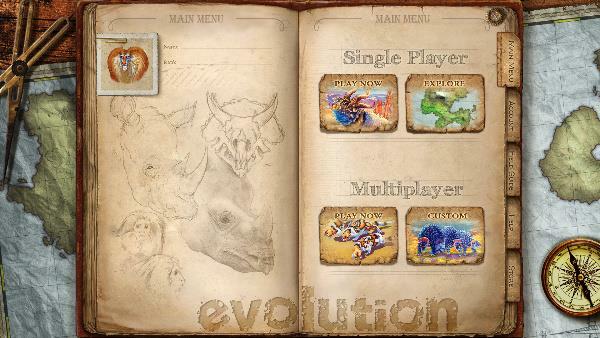 I enjoyed my time with Evolution, both the game overall and the digital version. If you’re familiar with the game then you’ll probably like the digital version. The Kickstarter will launch on September 12, and they’ve recently announced some rewards for backers, such as exclusive avatars and private tournaments, as well as physical rewards such as a new watering hole mouse pad, and even a copy of the physical board game. More info can be found at www.northstargames.com/digital, as well as their Twitter and Facebook pages, where they’ll provide the link to the Kickstarter once it goes live. While I didn’t pick up the physical version—I try to limit my funds for GenCon or else I’ll go broke—I’ll be keeping an eye on the Kickstarter as I enjoyed my time with the game at GenCon and wouldn’t mind picking up the digital version.